San Quentin Legionnaires': Six confirmed cases, 50 possible among inmates at California's oldest prison. The California State Prison at San Quentin. 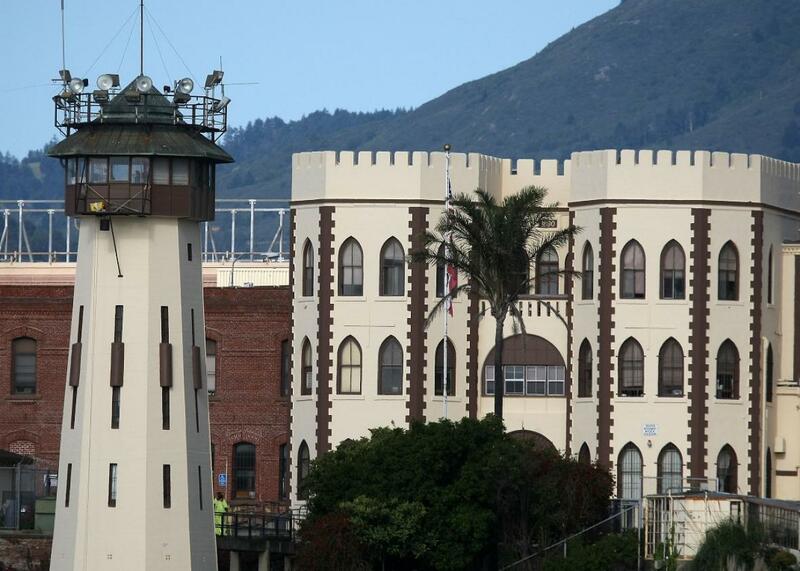 Six inmates at California’s San Quentin prison have been diagnosed with Legionnaires’ disease, and dozens more with symptoms are under observation, the Associated Press reports. Authorities have sharply limited the use of water from an onsite 3 million–gallon supply to avoid further spread of the disease while they search for the source of contamination in the facility, which holds about 3,700 inmates. All volunteer programs and family visiting has been cancelled, CDCR officials said. New inmate intake has also been halted at the prison, which serves as a reception center for new inmates to California’s prison system, according to CDCR officials. Legionella bacteria are naturally present at low levels in most sources of water but can multiply to dangerous levels under the right conditions. While cooling systems on large buildings are the most frequent cause of infection, at least one previous outbreak has been attributed to bacteria in pipes that became airborne as steam in showers. The disease is not transmitted by contact with an infected person. California’s corrections officials applauded the prison’s quick response to the crisis, pointing to the agency’s “contingency plans for all types of emergencies.” While the prison was intially cut off from all water, use of toilets in prisoners’ cells was later deemed safe. Once the source of the Legionella is established, the Associated Press says, the prison will sanitize water and equipment with “higher than normal” concentrations of chlorine to kill the bacteria. Legionnaires’ disease was in the headlines this summer when an outbreak traced to a hotel’s air conditioning equipment killed 12 and sickened more than 100 others in the South Bronx area of New York City. A total of 348 Legionnaires’ cases were reported in California in 2014, the Los Angeles Times reports, and 82 people in the state died from the infection between 2009 and 2012.